108g Feel the flaming majesty! 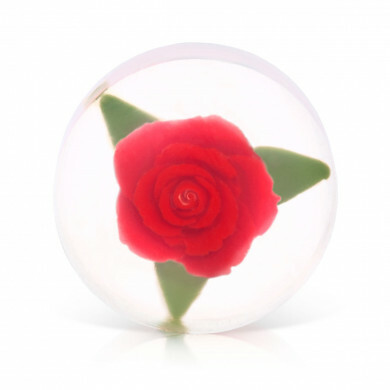 This hand-crafted piece of soap holds a blooming red rose. 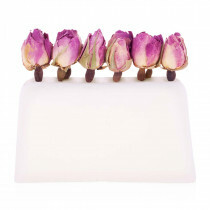 The soap gently cleanses your skin, leaving it scented with classic floral fragrance. Yield to the majestic sensations, whether in the shower, the bath, or washing your hands. 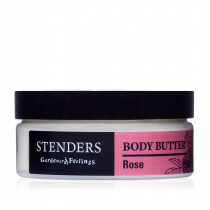 To make your skin irresistibly soft, moisturise it with rose body yogurt or nourish it with rose body butter after washing. Indulge your hands with rose hand cream.